The first consideration is ancillary probate. If you own real property in multiple states, your estate will likely need to be probated in both states. If you are a New York resident your estate will be probated here in New York. If you also own a house or condo in Florida, there will also be what is called an “ancillary probate” in Florida. An ancillary probate is a probate in addition to the primary probate to address distribution of an asset in another state, such as a vacation home. An ancillary probate adds time, expense, and unnecessary complication to your estate. An ancillary probate will need to be done in all states in which you own property. So, if you own a home in New York, a ski house in Vermont and a condo in Florida, your estate will be probated in New York and ancillary probates will be necessary in Vermont and Florida to transfer your ski house and condo. This can be avoided. By creating a revocable trust and transferring any property you own outside of New York state to that trust, you will avoid the need for an ancillary probate of any property outside of New York. 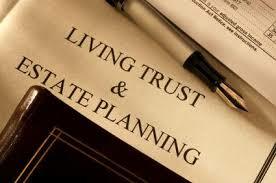 Upon your passing the property held by the trust will pass by the terms of the trust, outside of the probate process. The trust, as the name suggests, is revocable by you at any time. You maintain complete effective ownership of the property in the trust and have unfettered use of the property. Florida does not have a state estate tax, so an ancillary probate of a Florida asset will not result in additional state estate tax for a decedent who dies as a resident of New York, however New York does have a state estate tax. If you die as a resident of Florida, owning New York property, that property would be subject to New York estate tax. 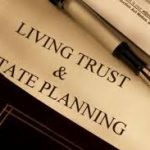 Moving your New York property to a revocable trust may avoid ancillary probate, but to avoid New York estate tax your New York property should be moved to a multi-member LLC (a single member LLC is a disregarded entity for federal estate tax purposes, so New York takes the position that it is a disregarded entity for estate tax purposes). So, simply being a Florida resident will not shield you from New York estate tax. The next consideration is your Health Care Proxy, Living Will and Durable Power of Attorney. People who divide their time between New York and Florida should have versions of these documents for both states. Unlike a Will, which you can only have one of, the execution of a new Will automatically revokes any prior Wills, you can have a Health Care Proxy, a Living Will and a Durable Power of Attorney for New York and also have their Florida equivalents, and both the New York documents and Florida documents would be in effect. It is true that your New York Health Care Proxy, Living Will and Durable Power of Attorney are valid in Florida and should be accepted in Florida. The same is true that your Florida Health Care Proxy, Living Will and Durable Power of Attorney are valid in New York and should be accepted for use in New York. However, Floridians (and their New York counterparts) are used to seeing Florida documents and your use of your New York documents may cause you some unnecessary headaches. One reason for this is naming, in New York the document in which you appoint a person to make health care decisions for you in the event of incapacity is a Health Care Proxy, in Florida that document is called a Declaration of Health Care Surrogate. In New York the person you appoint to make your health care decisions in the event of incapacity is your health care agent, in Florida that person is called your health care surrogate. In New York the document you use to designate your wishes should you be in an irreversible vegetative state or similar condition is a Living Will. In Florida that document is called a Declaration. The New York form for appointing someone to make financial decisions on your behalf is called a Power of Attorney. In Florida that document is called a Durable Power of Attorney. Fortunately, in both New York and Florida the person appointed is called your attorney-in-fact. The best practice is to have these documents prepared for both New York and Florida. You can keep your New York documents in New York and bring your Florida documents to Florida. In the event the person you appoint needs to use them, they will have no issues stemming from someone looking at an unfamiliar form. Additionally, if you already have both New York and Florida documents, it is important to note that Florida updated its Power of Attorney law in 2011. If you have a Florida Power of Attorney from prior to 2011 that document should be updated. Another factor to consider within your estate plan are some of the differences between New York and Florida law. If your Will is executed in New York under all of the formalities that would make it valid in New York, your Will should be valid in Florida. As should a Florida Will executed with all of the formalities that would make it valid in Florida be valid in New York. However, the laws of the state where your Will is probated will apply, not where your Will is executed. For example, in New York you can add what is called an in terrorem clause to your Will. An in terrorem clause states that anyone who challenges the terms or provisions of your Will forfeits any distribution or bequest they would receive under your Will. An in terrorem clause is a mechanism to deter people from challenging your Will. The theory is, if you are concerned that someone may challenge your Will, such as an estranged child, you can provide them with a small bequest, rather than with nothing, as an incentive to not to challenge your Will and potentially lose the small bequest. In terrorem clauses are enforceable in New York, but are not enforceable in Florida. If your estate plan includes the potential need for the use of the in terrorem clause, the effectiveness in New York and not in Florida is a consideration. In New York, almost anyone you appoint can serve as your Executor, with few exceptions (such as people younger than 18 years old, people who are incompetent, non-U.S. citizens who do not reside in the U.S., and convicted felons). In Florida, the person who performs the function of an Executor is called a Personal Representative. In Florida, as in New York, your Personal Representative must be over age 18, not a convicted felon and cannot be incompetent. However, Florida also adds that your Personal Representative must be a Florida resident, unless they meet one of several exceptions. A non-Florida Resident may only serve as a Personal Representative for a spouse, parent, sibling, child, aunt or uncle, or other similarly close family members. You can also serve as a Personal Representative for your spouse’s parent, sibling, child, aunt or uncle, or other similarly close family members. The mistake people make is to appoint a best friend from out of state or their attorney or accountant from out of state. These people will be unable to serve as your Personal Representative in Florida. For people who divide their time between New York and Florida an important question is domicile or in which state you are considered a resident. Being a Florida resident, rather than a New York resident, brings with it income tax and estate tax benefits. My next article will address the advantages of being a Florida resident and the process of becoming a Florida resident, even if you intend to spend significant time in New York each year. If you spend significant time in a state outside of New York, it is important to consider the impact that time spent outside of New York will have on your estate plan. The Trusts and Estates department of Twomey, Latham, Shea, Kelley, Dubin & Quartararo has attorneys who are admitted in multiple states, including Florida, available at your convenience to answer your questions, review your current estate plan to ensure it continues to meet your needs or to discuss the implementation of a multistate estate and succession plan.